Citigroup Inc (C.N) said it was setting aside an extra $600 million to cover legal expenses in the third quarter due to "rapidly evolving regulatory inquiries," while also disclosing that it was subject to foreign exchange market probes. Citigroup is one of six major banks that are expected to settle with Britain's Financial Conduct Authority by mid-November over allegations that the banks manipulated foreign exchange markets. The banks are aiming to settle for a total of around 1.5 billion pounds sterling, or $2.42 billion, sources have told Reuters. Barclays Plc, another of the six banks, said on Thursday it had set aside 500 million pounds for the third quarter to cover potential fines. While the legal costs have hit profits, weighed on share prices, and consumed management time, they have not forced banks to raise money by issuing shares, and are not expected to. The bank's shares fell 2 percent to $52.05 in extended trading after it revised down its third-quarter net income to $2.84 billion from the $3.44 billion it had posted on Oct. 14. Like most banks, Citigroup does not disclose how much money it has set aside to cover legal costs that it can dip into in the future, known as its "reserves." Bernstein Research analysts estimated before Thursday's announcement that Citigroup's remaining reserves were about $2.5 billion at the end of September. Citigroup did not say specifically that the additional legal expenses were recognized in anticipation of a settlement of the foreign exchange probes. Citigroup faces additional possible settlements. 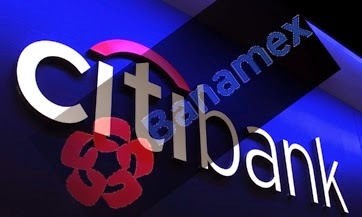 Federal authorities are investigating possible money laundering through Citigroup's Banamex USA unit, for example. The Mexican part of the Banamex business has been beset by multiple problems in the last few years, including fraudulent loans and rogue trading.